This is the sort of scenario I have been warning one of the companies I am working for about creating. We have 3-4 separate online communities currently with separate terms of service with two other major communities about to launch. This is part of the User Experience which should not be over looked. BTW: I am grateful for the centralization at Google. 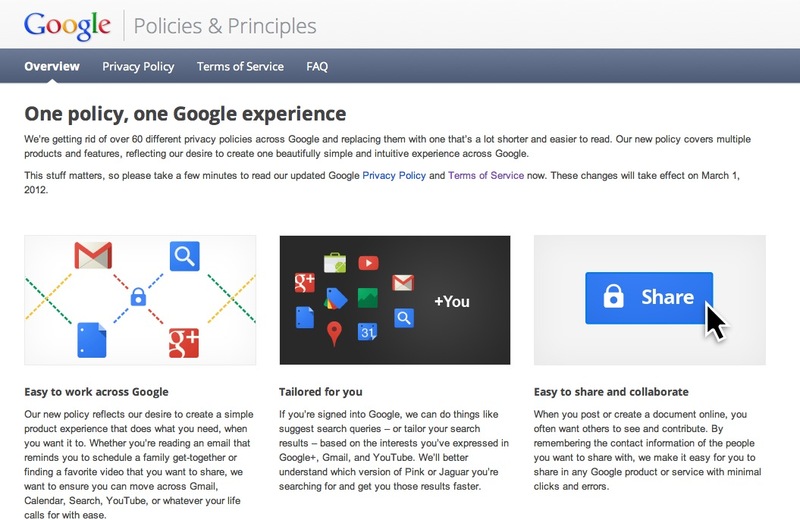 We’re getting rid of over 60 different privacy policies across Google and replacing them with one that’s a lot shorter and easier to read. 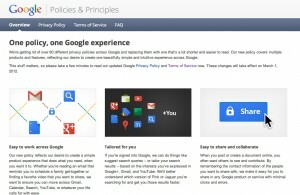 Our new policy covers multiple products and features, reflecting our desire to create one beautifully simple and intuitive experience for your users across Google products. As always, Google will maintain your data in strict compliance with the confidentiality and security obligations provided to your domain. This entry was posted in Blogging, Marketing, UI/UX and tagged Google, SIL International, sil.org, Terms of Service, TOS, UX by Hugh Paterson III. Bookmark the permalink.